This post is sponsored by Oak Meadow. It’s October, which means most of us are at least a few weeks into the new school year. Right about now, the charm and excitement over new curriculum and new routines has worn off. Now, we are in the thick of things. Now, we can no longer pretend like we are just getting started. Now, we are doing all the things. And what happens when we maybe aren’t doing all the things – or aren’t doing them in quite the same way that we want to do them in? What happens when the curriculum doesn’t feel right, and the routine is off, and the kids cry too much, or we cry too much (and hope that the kids aren’t watching)? 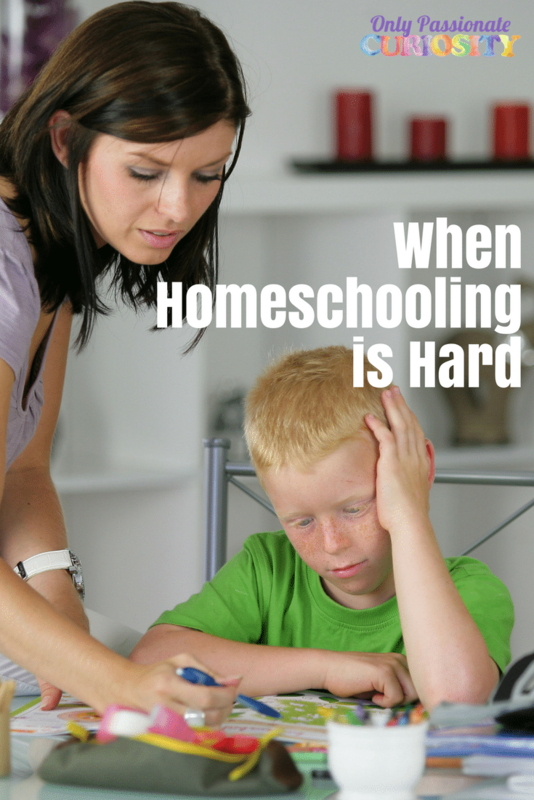 What happens when we wonder if we are really cut out for this homeschooling thing? What if it’s bigger than all of that – and we are wondering if we are cut out for motherhood at all? Homeschooling is hard. Homeschooling is a big deal. And that is okay. Say it with me – It is okay that Homeschooling is hard right now. It is okay that you are struggling right now. It is okay. It will BE okay. There are many things you can do to get yourself centered and get your home back on track when you start to feel overwhelmed with homeschooling. When homeschooling gets hard, the most important thing for you to do is to quickly check yourself. Avoid sliding headfirst into self-doubt. What is it specifically that is hard right now? It may be tempting to say that everything is hard, but instead, sit down, pull out a pencil, and write down exactly what is bothering you. For example, instead of saying “we’re never home,” write down exactly what you are doing outside of the house and which of those activities are giving you a hard time. Maybe Scouts on Monday nights isn’t really a problem, but trying to do gymnastics and science club on Tuesday is. 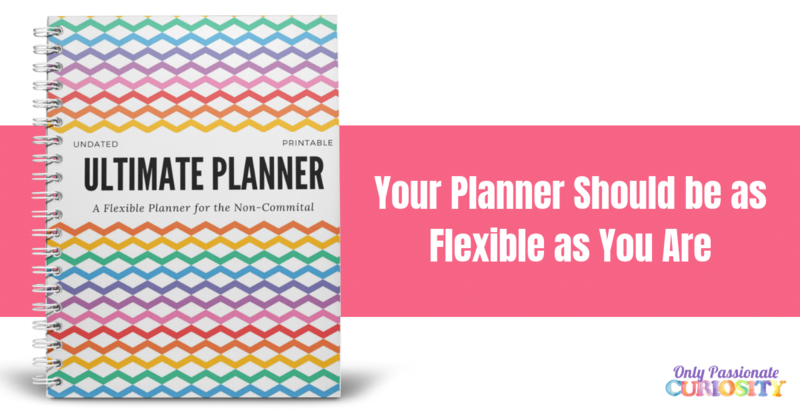 Be specific and detailed – consider this a journaling activity rather than just listing things off. Once you have a list of all the things that are bothering you, read the list again and decide which things are small bothers and which things are deal breakers. For example, I may have written down that it bothers me that we have been grabbing so much food through the drive through between activities and that it bothers me that Doodle cries every time I ask him to do his math assignment. I may decide that while it’s annoying to eat so many chicken nuggets, that isn’t a huge problem. But maybe the crying is. Take a look at your list, and choose one or two things that you want to focus on fixing right now. For example, you may decide that your biggest deal breaker right now is that one of your children is having a hard time getting up in the morning, and their bad attitude is making mornings miserable for everyone and is wasting school time. You may choose to focus on helping them get out of bed earlier, establishing a morning routine, or helping them settle in earlier for the night. Whatever you do, only work on one or two deal breakers at a time, and make sure you give yourself credit for the progress you are making. Even baby steps are steps in the right direction. Don’t allow yourself to get bogged down by too many things – once you have one thing under control, you can always add in a second, but don’t work on too much at once. When things get overwhelming for me, I often have to take a good hard look at what I have piled on my plate – and go back to my basic routine. In our early years, one of the best lessons Oak Meadow taught me was to establish a routine and a rhythm to our home. It doesn’t have to be elaborate. Routines can be simple. Rhythms can be natural. It just helps to have them. For example, one of the things I sometimes struggle with is committing to activities in the morning. I always like to think that they’ll be good and fun and wonderful, but the reality is that my family needs to have peaceful mornings. Our family’s rhythm is slow to start. We do best when we can sleep in as late as we need, and have a leisurely breakfast together. We like to spend the time to make waffles or pancakes or eggs and really enjoy breakfast. It’s best when I don’t rush this. It’s best when the kids get this calm, happy start to their day. You wouldn’t think that skipping muffins for breakfast and eating cereal instead would throw off our whole homeschool . . . but sometimes, messing up rhythms and routines can do just that. For me, we have to have breakfast together. For you, it may be something else entirely. Maybe it’s your family’s lunch routine. Maybe it’s afternoon quiet time. Maybe it’s the read-aloud. Whatever it is that helps you feel at peace- make sure you are doing that thing. Having a friend on my side always makes a big difference in my attitude. 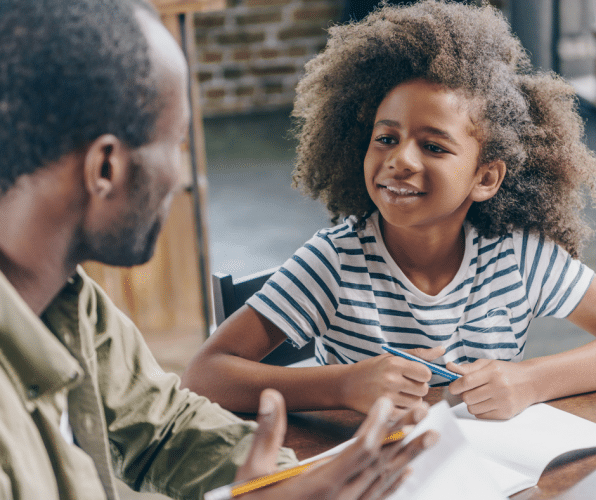 If you’re feeling overwhelmed, reach out to a friend who also homeschools (you need someone who isn’t going to say something like “why don’t you quit” because that’s rarely what you need on a bad day). If you don’t yet have an allie or a mentor or a best friend to comiserate with, find one (or email me). 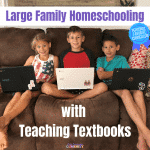 I offer a class over at Oak Meadow called Homeschool With Heart– I created this program because I realized that for me, the key to keeping my homeschool on track is getting myself re-centered. In Homeschool With Heart, we work our way through why homeschooling is right for us, and what we hope to accomplish by homeschooling, and then we tackle how to make homeschooling work FOR us, instead of spinning our wheels. So far, I’ve helped more than 100 moms find their way to a more peaceful, productive homeschool – and I would be happy to help you too! Oak Meadow provides a teacher training course that is really helpful in finding a routine and a rhythm in your home. You can call Oak Meadow and speak to one of their educational consultants who can help you decide if this course is right for you. 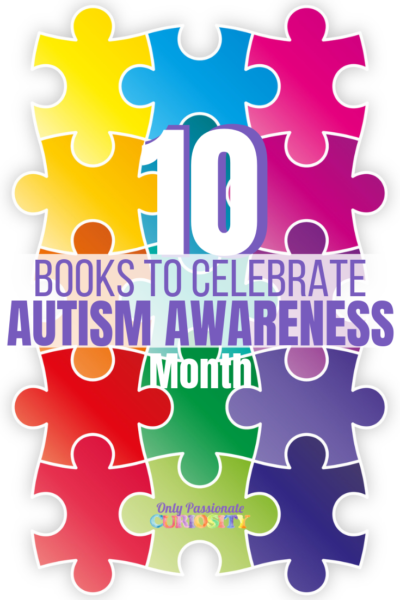 They can also help you troubleshoot your curriculum and help you find the appropriate level for your child. If you’re really stuck and would like more intensive, targeted support, Oak Meadow offers an hourly consultation service. Some families really enjoy working with certified teachers as they homeschool their children. Oak Meadow offers an accredited course option, where a teacher will help grade your child’s work, and help you teach the materials. These teachers care deeply about their students and love supporting homeschool parents- it’s worth checking out if you are really overwhelmed and want the extra assurance that you’re doing the right things. Whatever you do, know you aren’t alone. 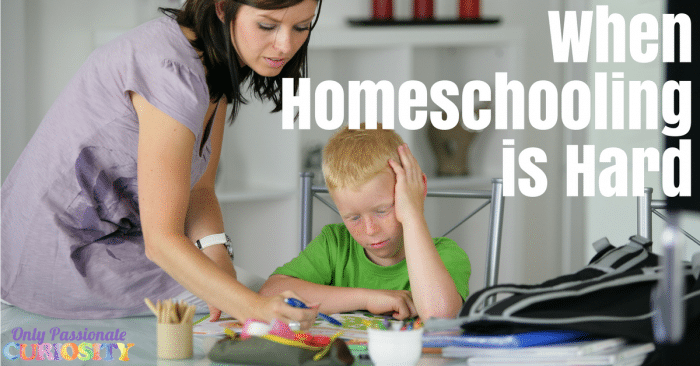 Homeschooling is a huge challenge, and places a huge amount of pressure on the shoulders of homeschooling parents. But oftentimes, hard things are worth it. 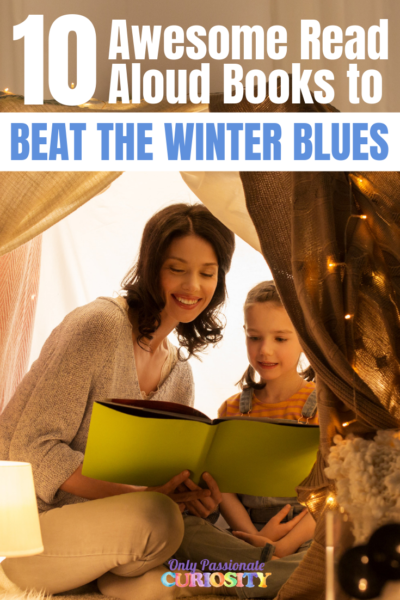 Remember that one bad season won’t make or break your homeschool, and one rough patch isn’t likely to ruin your child for life. Hang in there, reach out for support, and take baby steps forward!